Bill George, former CEO of Medtronic and author of "Authentic Leadership," describes the paradox of power: Leaders who empower others have far greater power than those who cling to it. I couldn't agree with you more. The character of a leader is so vital these days to the future success of an organization and our society as a whole. Now more than ever those Executives that are in power to choose and place future leaders or even promote and reward current leaders need to consider who has the right character, ethics and values for the organization. Who is going to demonstrate and model the right behavior for the organization. Who will use the power in the right way and not abuse it or use it for their own personal gains regardless of how it destroys others or the organization. This requires choosing future leaders with good character, those that will keep the organization working as one unit rather than play childish games or create competition within that destroys it from the inside. The responsibility lays on those Executives that are in the position to reward and promote future leaders. It's up to them to choose the leaders that are not power-hungry to the degree that they have to gain it regardless of how unethically they obtain it or win; but also cares about the people on the way to obtaining power. 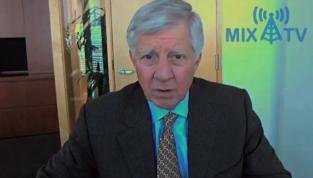 Bill George: How do you scale and sustain innovation? Ivy Ross: What if Barbie was funny? Charlene Li: What comes after hierarchy?